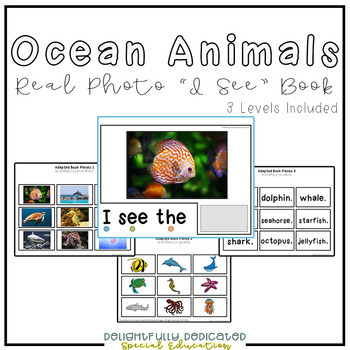 This Ocean Animals "I See" book is differentiated for 3 levels of learners. 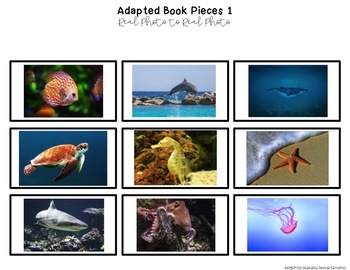 Students can match real photo to real photo (identical matching), real photo to symbol (non-identical matching), and real photo to word. 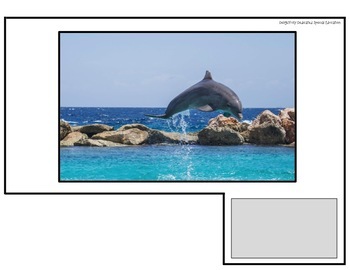 If you download this product please provide feedback. 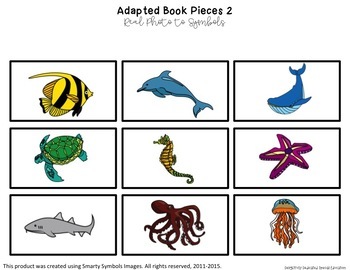 This product was created using Smarty Symbols Images. All rights reserved, 2011-2015. THANKS SO MUCH FOR DOWNLOADING!